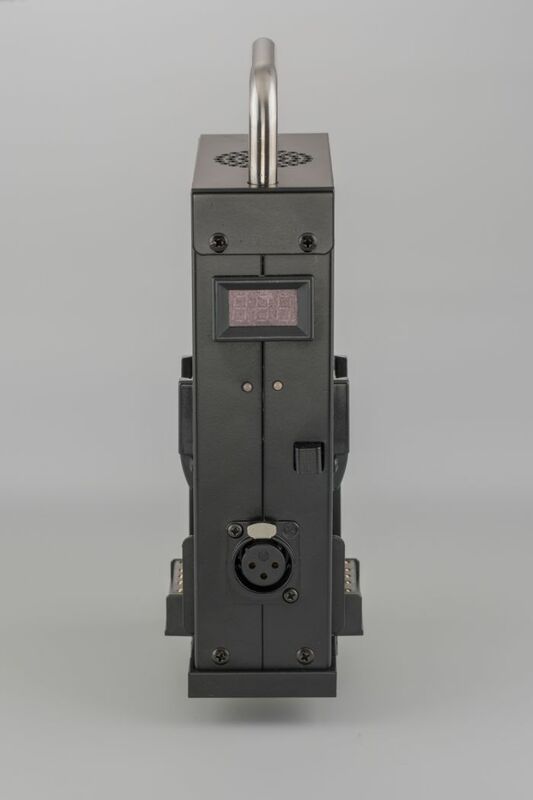 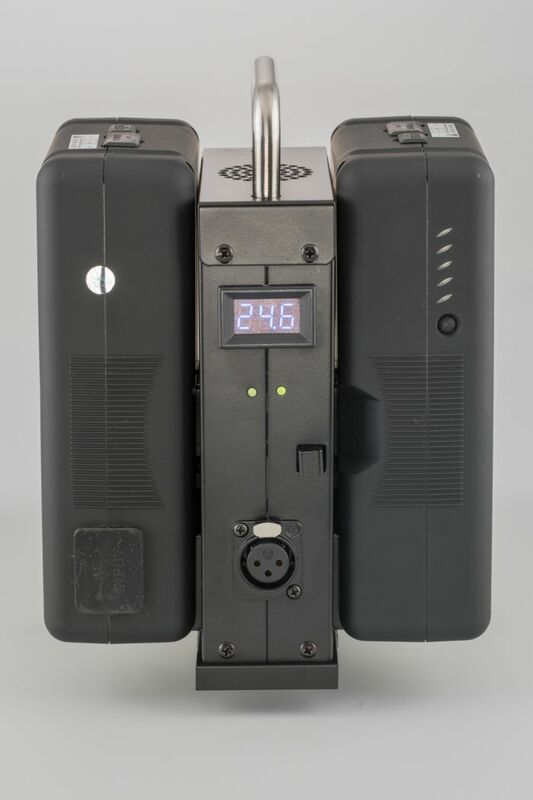 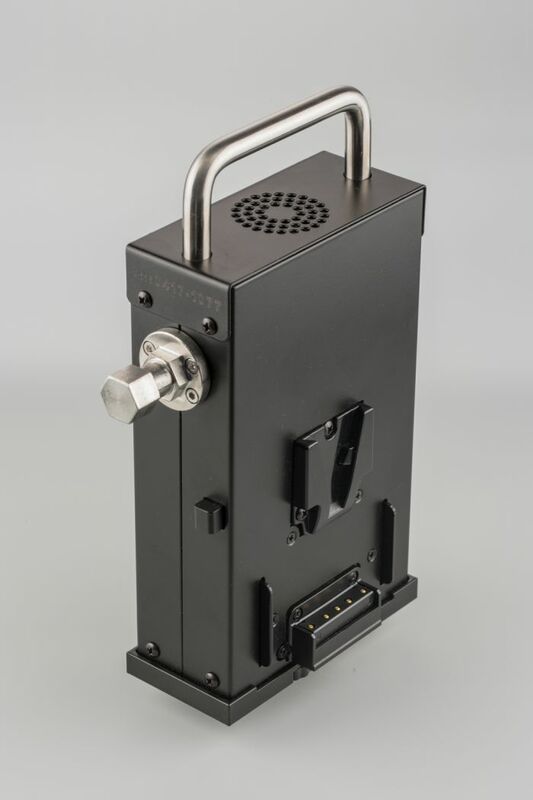 The TPS-2V power station takes two V-lock batteries (each 14.4V). 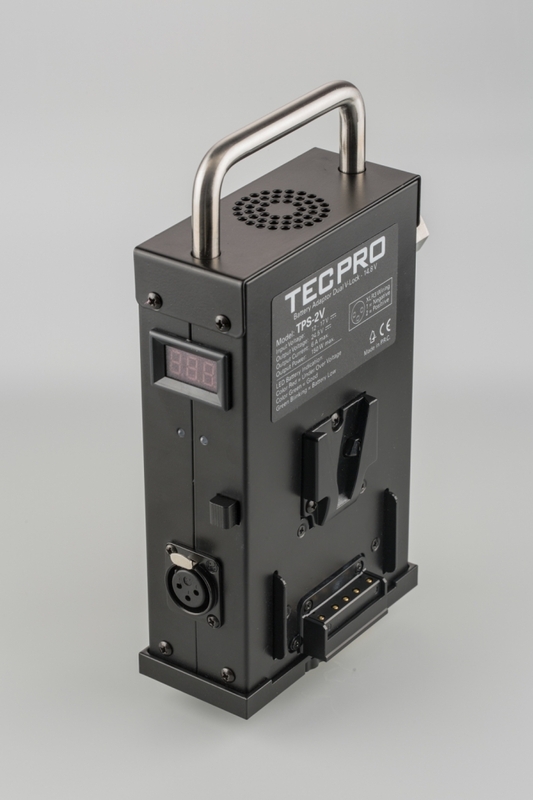 It combines for regulated 24V output. 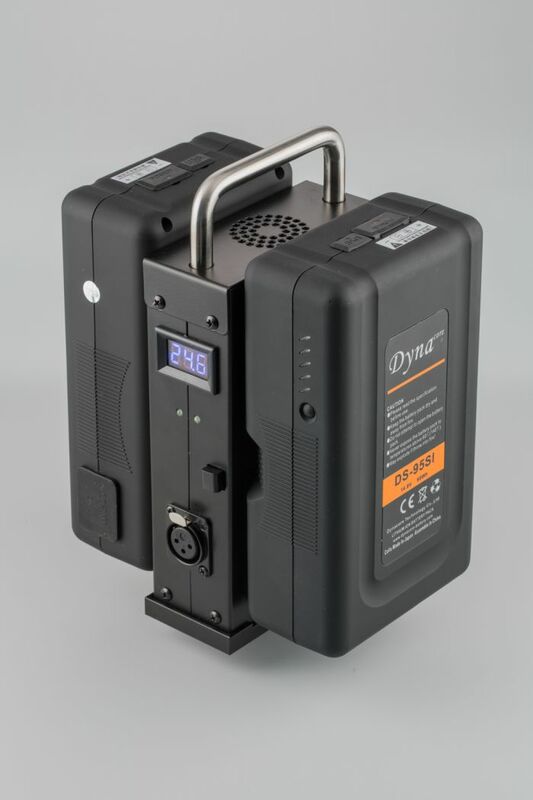 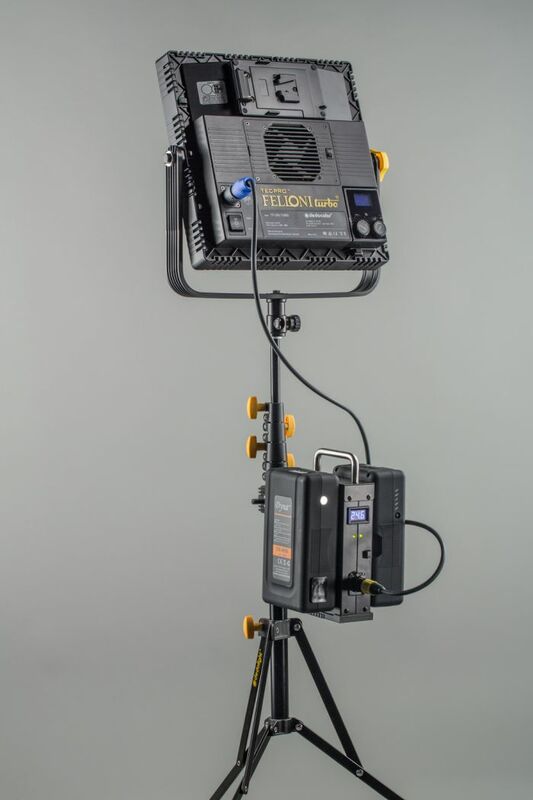 Cameras, lights, mobile editing devices, monitors and other equipment can be used up to power consumptions of 240W (24V, 10Amp). 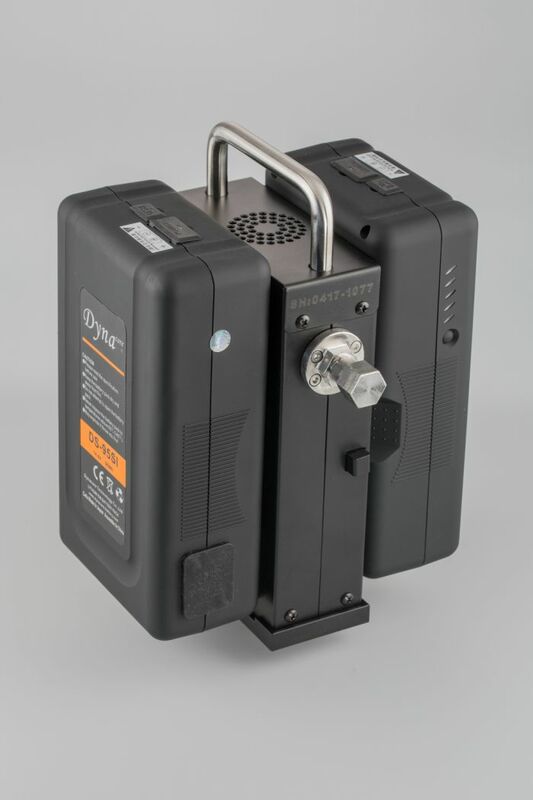 In order to achieve the best possible performance, batteries with equal capacity and equal charge status should be used. 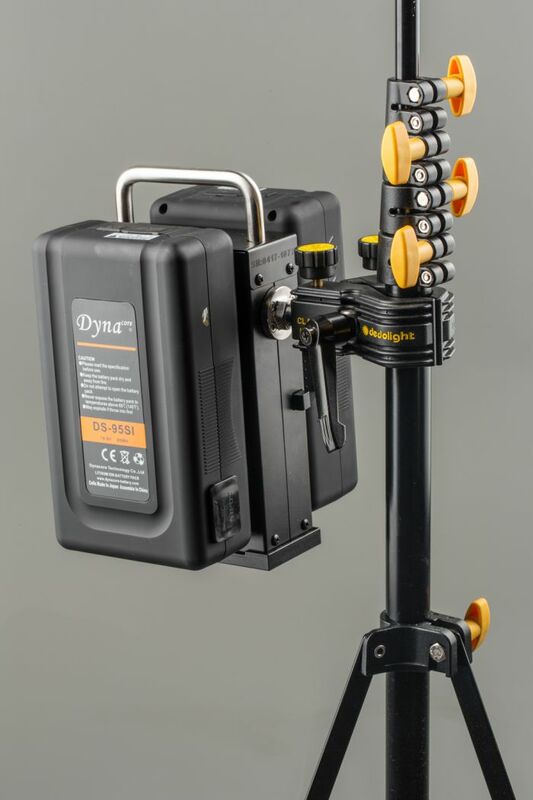 The larger the battery capacity, the better the performance.